A trained fighter, Danath is in good condition, and probably still has the thievery skills which allowed him survive his youth, although these could be a bit rusty by now. He also has the gift of Stoneweaving, allowing him to use certain gemstones to animate various substances with such skill that he became champion duellist of his home city. See the game stats section for a detailed discussion of stoneweaving and stonefighting. The world flooded, with only the highest peaks now rising from the water. Civilisation survived on waterborne cities, which quickly became ruled by tyrannous bosses, who conserve resources by regular Cleansings, where the poor are sold into slavery as miners, working for Lord Narvon. The great sorceries were lost during the Floods, leaving only Stoneweaving, although much knowledge of that was also lost, so that now it’s little more than a blunt weapon, and those in charge make sure the Stoneweavers in their domains serve them, or meet abrupt ends. Born to slaves he never knew, Danath was a mine orphan, one of the children shipped back to the cities to be housed in their orphanages. He was sent to Melmyrn, where he became close with fellow mine orphans, the sisters Andira and Syssarra, and the three grew to become a pickpocket team, the only option they had to buy a little relief from their situation until old enough to work. Danath showed a talent for pick-pocketing, while Andira was their spotter, and Syssarra the distraction. He was in his late teens when Thortus’ (the unofficial boss of Melmyrn) regular testing of the orphans discovered his Stoneweaving abilities, and Danath was pressed into service. Andira, hating the bosses with a passion, urged him to refuse, but he was pragmatic enough to know he had little chance of surviving such a refusal. This drove a wedge between them, as Andira never forgave him for the betrayal. Syssarra shared a degree of her sister’s feelings towards those in authority, but by this point she and Danath were involved, so she settled for constantly trying to convince him to rebel. Beginning his training, Danath showed a distinct aptitude for Stoneweaving, and eventually succeeded Elgren as Thortus’ champion (the city’s top Stoneweaver becomes the boss’ champion, serving as part of their entourage) when Elgren retired. Elgren became Danath’s mentor, reluctantly since Danath’s laziness means he doesn’t train as intensely as Elgren would like. Working for Thortus means he must occasionally intimidate those balking at the way of things, and sometimes more than that, but that’s just the way the world is. Tall, lean, dark skinned, with short loose hair. For duelling he usually wears loose-fitting trousers and a long sleeved vest, usually grey. Otherwise he’ll often have a splash of colour in his clothes, from the more expensive dyes rather than the cheaper feather decorations, although there’s only so much money he’ll spend on clothes. Relaxed and cheerfully lazy, Danath tries to take a mercenary approach to everything, and isn’t easily riled into anything as tiring as anger. While he enjoys duelling, whether with stones or words, he’s loathed to give up his leisure time for training (apart from learning new Stoneweaving tricks, an obsession of his), only doing so when forced, or really bored. While not comfortable with the way society run, he’s pragmatic enough to realise that overthrowing Thortus wouldn’t change the limited resources available, and that the lack of Cleansings could well lead to people fighting for food. So as bad as things are, he can’t see a way out of it, so he’ll let others bear that burden, while he focuses on looking after himself, and maintaining his comfortable lifestyle. Most people are wary around Stoneweavers, an attitude Thortus fosters to maintain his power, and there always tends to be a wary distance between the Stoneweavers themselves, always sizing each other up, which is also fostered by Thortus. So Danath’s only close friends are Syssarra and Farnal, another Stoneweaver, who’s more of an artisan than a Stonefighter. An assortment of gemstones for use in Stoneweaving. He usually has a few of each type, although only one tade at the moment. All that remains of the old magic, Stoneweaving allows those born with an affinity for it to animate certain substances if they know the correct gemstone and base word. The gemstone must be touching the substance when the word is spoken, with the substance able to ’hear‘ the word. The speaker need not be touching the gemstone at the time, but they must have been the last individual to have touched it. The gemstone then remains part of the animation until the Stoneweaver dismisses it, another Stoneweaver deactivates it, or it’s destroyed (which ends the animation). Active gemstones may be deactivated by another Stoneweaver touching them and using the activation word. For this reason, Stoneweavers may hide the stone within the animated material, to protect against theft. No substance which maintains an animated shape may be later animated while already containing a gemstone which previously animated it, even if the original animation is no longer in effect. There are three (known) suffixes allowing for varying degrees of control over the substances animated. -or allows the Stoneweaver to reshape the substance at the instant of casting, but they have no ongoing control over the substance after that point. While some substances hold their shape after Stoneweaving ends, and may have the gemstone removed after they’ve been shaped, others would need the stone left in them to retain their shape. -thor allows the Stoneweaver to manipulate the substance with their thoughts, often animating the substance into a humanoid form (avatar), which remains under their control as long as they consciously maintain it. -duor allows the Stoneweaver to give the animated substance a programmed set of commands, which are set at the time of casting, and which may remain permanently in effect, unless the animation is destroyed or the gemstone is deactivated. Few modern Stoneweavers can give more than the simplest of commands, and even those can be difficult to get right (see below). 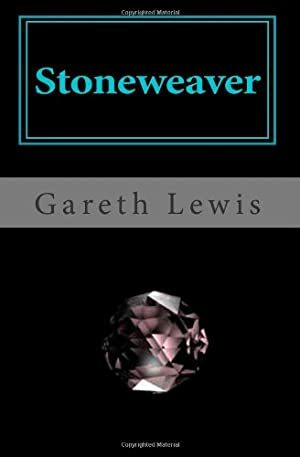 The initial Stoneweaving requires the character to touch the gemstone to the substance, and say the activation word (base word and suffix [so to simply reshape metal the activation word would be ’Aunor‘]), allowing them to make an Occultist (Ritual Magic) check to take control of the substance. Unless the character has a Familiarity with Stoneweaving the appropriate substance, they suffer an unskilled use penalty to the attempt (so most don’t try new rituals while they have other substances animated). If animating avatars, they’re controlled by the Stoneweaver’s Accuracy (Stoneweaving) Skill (which is Mental), which replaces their DEX. Some may also be worn by the character as a kind of armour, in which case the character’s DEX is used rather than Accuracy (Stoneweaving), and the avatar is treated as a vehicle with Hardened Defenses which protect the character from damage. They are often reshaped to create weapons for the character to wield (Omni-Arm). Stoneweaving gemstones can be treated as BODY 05 objects for attacking, and have 08 APs of Miniaturization. The amount of the substance manipulated is generally up to twice the volume of the Stoneweaver (3 AP), depending on their skill. Larger amounts may be manipulated, causing more of a strain (for each extra AP of volume the OV/RV for the initial casting increases by an AP, and the Stoneweaver’s Accuracy (Stoneweaving) is reduced by an AP). Smaller amounts can be manipulated with no strain. Maintaining animations requires line of sight to see exactly what the avatar is doing (otherwise treat the attack as being in darkness, giving the defender a +2CS to their OV), and over long distances (APs of animating Power) they can require more effort to maintain (APs of Accuracy (Stoneweaving) are decreased by one AP for each extra AP of distance). The more capable Stoneweavers can maintain more than one animation active at a time, although this can reduce their effectiveness with them. For each additional substance animated (even a second animation of the same kind of substance) the Occultist (Ritual Magic) roll gains a penalty of +1CS to the OV/RV for each animation already controlled. The character’s Accuracy (Stoneweaving) skill is also reduced by 1 AP for each additional animation. Using the -duor suffix, animations can be given a set of commands at the time of their animations, which may need to be performed immediately or may only come into effect once a given set of conditions activates them, either once or repeatedly. The casting suffers a penalty to the OV/RV of the Occultist (Ritual Magic) check dependant on the difficulty of the task. A blue-green, opaque gemstone which allows the animation of any worked or unworked metal, or substances composed of at least 75% metal (even if containing different metals). It’s the most common type of animated armour used for duelling, as it allows for more fluid movement (once the Stoneweaver has learned how to synchronize their movements and control of the substance), although it can prove tiring after a while. After control has ceased, the metal retains its altered shape. The base word is ’Aun’. A dark red translucent gemstone which allows the Stoneweaver to animate stone and soil. Stone is best for wearing as armour, although a thick layer is generally needed to allow for wear at the joints. Moving in the weight requires training and concentration, and many wear a layer of soil on the inside of their stone armour to cushion against impact with the armour. After control has ceased, stone will stay in the form it’s been set in, while soil will vary according to its strength, with most crumbling away. If control is lost while shaping stone, it often just crumbles away. The base word is ’Lux‘. A dark green, smoky gemstone which allows control over plant life (dead or alive). While more solid types of vegetation, such as wood, can be formed into avatars (Earth Animation), all plants can be moved to some degree. Wood tends to splinter too easily to be of much use as armour. After control has ceased, the plants don’t return to their original form. The base word is ’Bru‘. A red-orange, smoothly translucent gemstone which allows Stoneweavers to control fire. While animated, the fire doesn’t need any other fuel source, although it does still need air and will burn stuff it comes into contact with, starting incidental fires over which the Stoneweaver has no control. After control has ceased, the fire will continue to burn as long as it has a fuel source. The base word is ’Thir‘. To prevent casual fights among Stoneweavers, a dangerous proposition in the crowded cities, formalised duels were established to settle grievances, or just for entertainment. Fighting outside of duels is strongly frowned upon by those in charge. Duels performed for entertainment are often used as means of ranking the Stoneweavers, and as a way for them to earn money, with spectators at such matches paying a fee. Proceeds are split among the Stoneweavers, two-thirds to the winner. Such duels aren’t to the death, barring accidents. Proper duels are often to settle grievances, and it’s usually established beforehand whether they’ll be to the death (if not formally established then it’s the winner’s decision). Spectators are not usually charged. There are areas set aside for duels, usually in an open public space, and a few rules govern them. It’s traditional for the winner to take the loser’s gemstone (provided it hasn’t been destroyed) and the base word if they’re unfamiliar with it (and if their opponent is still alive to give it). This represents Danath at the beginning of the story, just after the Prologue, to avoid spoilers as much as possible. I’d considered giving the Power to the stones, then giving him a Ritual to activate them, but since different Stoneweavers have different levels for the Powers, it makes more sense to assign the Powers for a stone to Rituals. Writeup completed on the 11th of March, 2011.